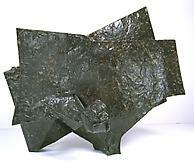 Trained as a dentist, he focused on sculpture from 1932 on and addressed themes of flight, nature and war in his art. 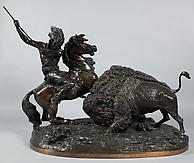 His early choices of medium changed from wood to lead to bronze, and then to metal for which he is best known. From 1933 to the early 1940s, he carved primarily wood sculptures in the then popular Social Realist manner, often defined by simplified and sometimes distorted figures. 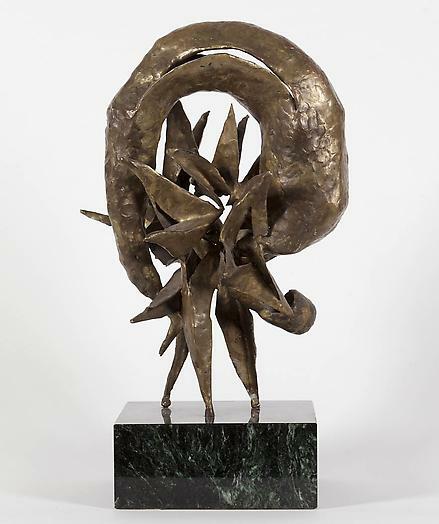 With the outbreak of World War II, Lipton's sculptures referred increasingly to the conflict, which caused a change in working method and subject matter. He was drawn to the practice of automatism, in which conscious thought is suspended as one gives way to the subconscious, and his imagery became increasingly abstract. He often worked from quick, preliminary drawings, translating them into small working models or maquettes, then turned these into larger metal constructions. In the 1950s, Lipton began to weld monel metal planes and braze the surfaces with nickel silver or bronze. 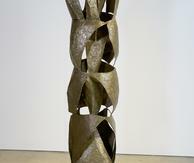 This process was innovative to the process of metal working as it created rust resistant forms. He associated with a group of welders that achieved prominence during that decade, namely Herbert Ferber, David Hare, Ibram Lassaw, and Theodore Roszak and were considered the sculptural counterpart of Abstract Expressionism. As Irving Sandler notes in his catalogue introduction, "Just as the painters used the direct process of painting to encounter new motifs, so the sculptors used the direct process of welding. The welding medium enabled them to improvise relatively freely with structure and with the molten crust that activated the unconscious imagination and suggested biomorphic images." By the 1950s, Lipton's work had already been acquired by 150 museums. In 1958, he was the lead American artist at the 29th Venice Biennale, where he gained international recognition as one of the principal Abstract Expressionist sculptors of his time. He represented the United States Pavilion with Mark Rothko, David Smith and Mark Tobey.